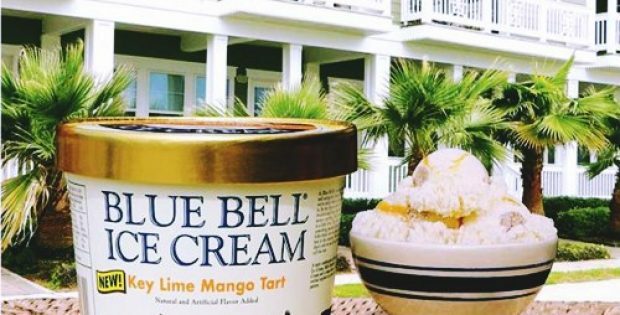 In a recent turn of events, Blue Bell, the American ice cream maker, has reportedly introduced a new flavor for fans to sample while simultaneously bringing back an old fan-favorite. As per trusted sources, the Texas-based ice-cream firm, which has a plant located in Sylacauga, recently made an announcement about the limited-period availability of its Raspberry Fudge Brownie flavor ice cream that will be up for grabs in pint-sized and half-gallon packs. According to sources familiar with the development, the new flavor would be an amalgamation of almond ice cream mixed with fudge brownie chunks, raspberry sauce swirl, and dark chocolate flakes. Sara Schramm, Marketing Brand Manager at Blue Bell stated that the company has worked on the concept for many years. The brownie and the ice cream are subtle but still flavorful together, Schramm added. In addition, the company is also making one of their most demanded flavors Tin Roof available in stores. Reportedly, Tin Roof comprises of vanilla ice cream with a chocolate fudge swirl along with roasted peanuts covered in dark chocolate. According to the press release, Schramm was quoted saying that the company did not offer the flavor last year, but it is one of Blue Bell’s most requested flavors, therefore, the company is happy to have it back in its stores for 2019. For the uninitiated, Blue Bell’s origin dates back to 1930, when the company changed from Brenham Creamery Company to Blue Bell Creameries after the Texian wildflower bluebell. It was in 1980 that Blue Bell became available in stores outside of Texas. Even though the brand is only available in 22 states across the nation, it is still one among the best-selling ice cream brands in the country. When it comes to manufacturing ice-cream, Blue Bell is still proud of its old-fashioned techniques with the freshest and finest ingredients. Blue Bell is known for never compromising on quality standards, no matter how much the market grows, cite sources.